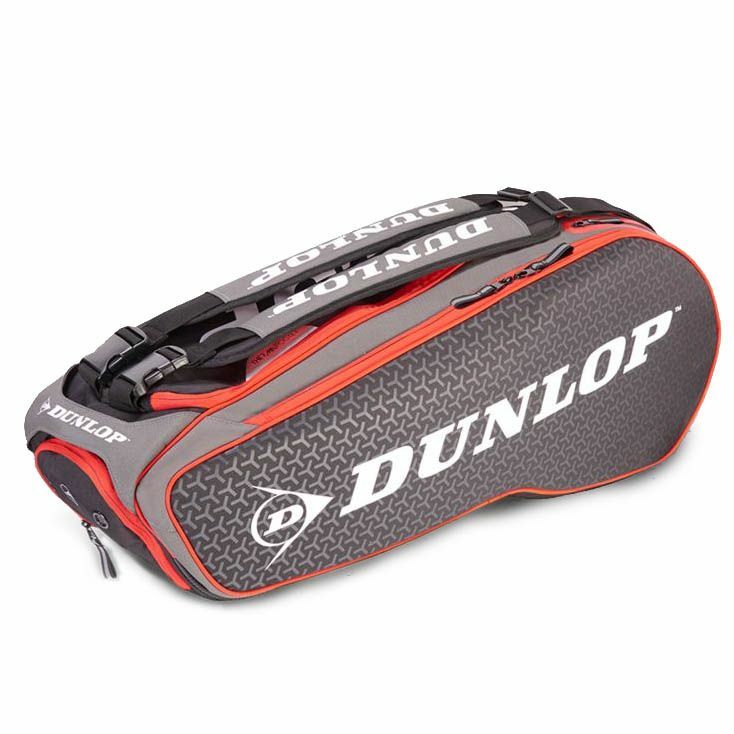 The Dunlop Performance 8 racket bag offers ample space for your equipment and accessories and has a strong and durable fabric construction thanks to 600D polyester with polyurethane backing. 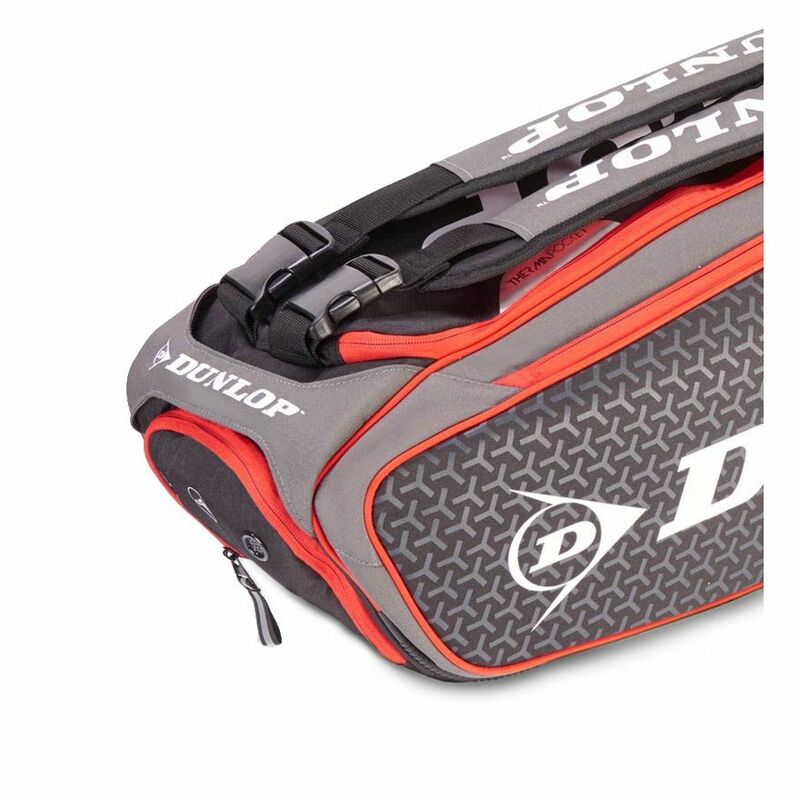 With a capacity for up to 8 rackets, the bag is large enough for an avid recreational player or a tournament competitor and features 2 main compartments with a thermo lining for temperature regulation and protection of the gear. There is also a hydro wet pocket for wet or dirty clothes, a special ventilated footwear compartment, and a zipped, felt-lined pocket perfect for valuables. Transportation is a breeze thanks to a practical backpack carrying system and a carry handle and accessories can be kept in two zipped pockets on the side. for submitting product review about Dunlop Performance 8 Racket Bag.